Pigeon pea is the principal pulse among the all pulses. It is also called as green or green pea. Its botanical name Cajanus Cajan. You can make delicious vegetables forming in boiling water. People in tribal areas removed the seeds from pan and roasted and eaten them. According to these, it delicious as well as nutritious. Tooth Pain: If you have pain in your teeth and you want home remedy then tur dal is very useful. It is in everyone’s kitchen. Who complain of toothache they should rinse with a concoction of leaves. It would eliminate pain. Cold Sore: People are often worried mouth sores. These are frequent. 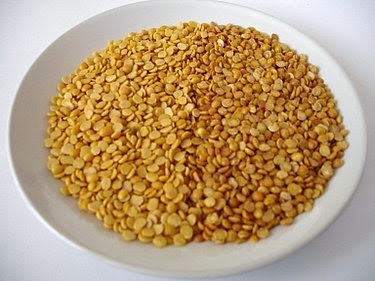 Tur dal is very effective in mouth ulcers. Patalkot tribal put tur dal soaked in water with skin. They believe mouth ulcers can be removed by rinse with water. For Migraine: Take equal amounts of pigeon pea leaves and grass juice and put in nose. You will get relief in migraine. In intoxication: Tribal keeps raw tur dal in water and grinds them. They use it for intoxication of cannabis. On Sweating: Take fist tur dal, one teaspoon salt and half teaspoon dry ginger powder and fried it in mustard oil. Do body massage with this oil. You will get relief with the problem of sweating. Apply it on wound: Put soft leaves on the wound. According to them, wound quickly become dry and does not ripe. Normal secretion of milk: Patalkot herbal knowledgeable tribal warm tur dal leaves and applies on the postpartum woman’s breasts. It restricts the excessive amounts of milk. Low milk cattle: Feed plant of tur dal especially dairy cattle so that they give more milk.